While pulling the Alliara, I found myself covered in cleavers (Galium aparine), another weed whose name I have just learnt, despite being familiar with the plant from the plot at home. 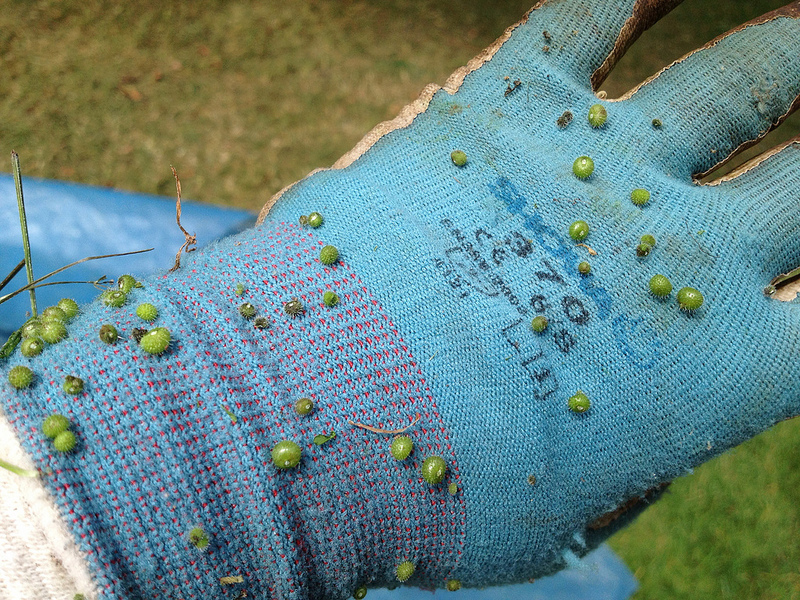 Amazingly effective, cleavers, in, well... cleaving to whatever is at hand. Seed are not the only part of this plant of the Rubiaceae family endowed with hooked hairs either. 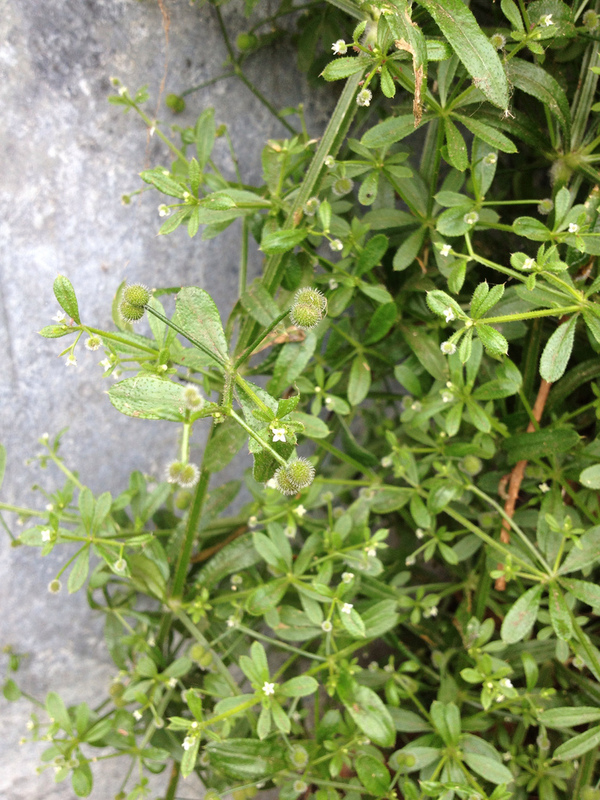 The stems are covered with them and so are the leaves, which make for the perfect climbing arrangement. I was starting to think it would take me all day to get rid of the seeds from my shirt, when I felt as if something was tapping me on the back. Then again. 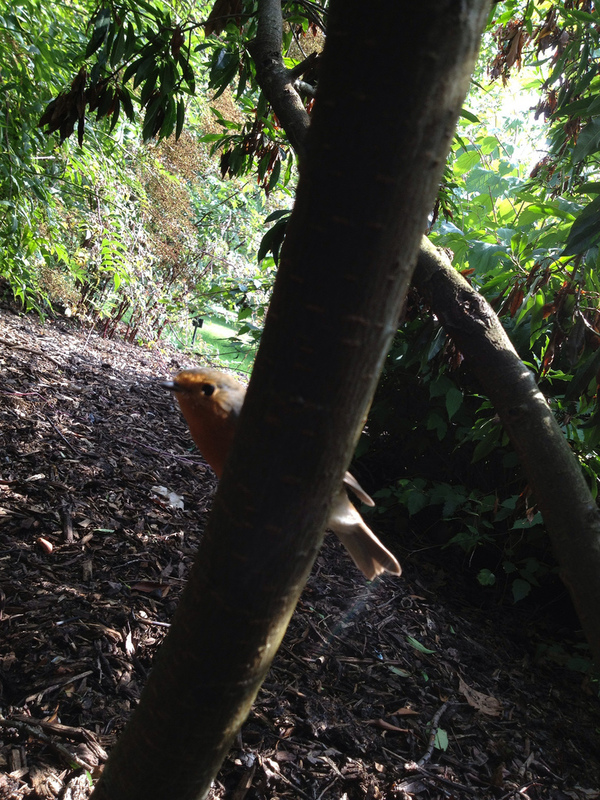 It was then that I realised it was the robin that had been following me, while I was weeding in between the shrubs in the middle of the bed, from a couple of metres' distance. She had become bold, and started using me as her bird feeder. Not that I minded, so I kept weeding in the area, under the canopy, until she had had enough.